This custom line has limitless possibilities. You choose the materials, shape and size. These are what make this cover a custom cover. Color combinations of two colors look beautiful and unique. For two tone menu covers, World Wide Menu, Inc. uses two shades of materials. A Foil Debossing of your Logo will create customized two tone menu covers. Two tone products help in reducing the boredom of using the same bland colors for covers and gives variety of color combination options to choose from to the clients. Beautifully designed in variety of patterns, this type of cover will be one the customers admire. For example, half of a menu cover is red and the other half might be black. You tell us what you want and we can help create the cover to your specifications. For this, one view and two view styling are available with corner catches, three panel book four view styling is available with top and bottom bar and same with double plus type. 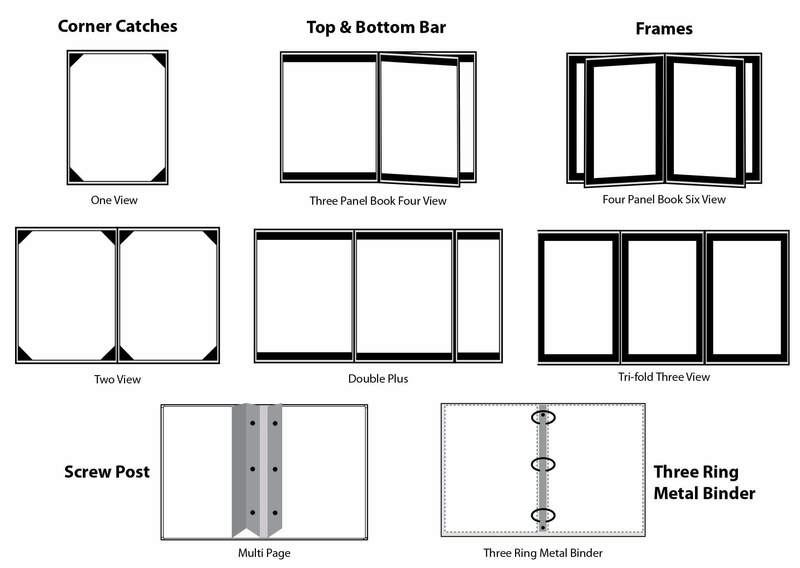 Those available with frames are four panel book six views and tri-fold three view styling. Screw post is designed for a multi page styling and three ring metal binder of styling is also available. Having stylish products at business will help gain attention and popularity. With a wide range of options available with us, we assist our customers to bring in change to a monotonous line of menu covers. It helps in generating interest and sense of exploration among people. Our two tone menu covers are designed gracefully at affordable prices. Some of the styling and viewing options have additional cost to them. To know more in details, you can contact our customer services team.